New to the forum, but not to Buicks. I've had my '63 Kat for 4 years now and have had a blast restoring it and just enjoy driving it. Read this post a while ago and thought I should reply. I am Henry Eggengoor. Live in Orillia Ontario Canada. I have a 1917 McLaughlin light six, and a 1972 Buick Skylark custom convertible. I have been in the old car hobby for 45 years, starting with a 1942 Ford pick up dad bought me when I was sixteen. Still have that truck in a barn, will be restoring it soon. I remember Dad's 55 special and a series of 53 and 54 parts cars. Have had several Buicks over the years. Worked as a civiliam mechanic at the Army Base Near Barrie Borden, for 25 years. Also worked a stint at a restoration shop in Bramptom, and drove tractor trailer in both Canada and the US. Am RETIRED now and can play, but as I saw one fellow here say.. now I don,t have the money to do the things I would like. The McLaughlin light six is not a Buick as most are, but actually an Oakland rebadged as a Mclaughlin. It was assembled in Oshawa Ontario and shipped to Manitoba. At the time Buick stopped producing the four cylinder engines and Sam wanted an entry level automobile. An overhead engine was a must and by this time Durant was in charge of General Motors and the Oakland was also under the umbrella so it was a natural for Sam as Buick was supplying the engines since 1909. Also by 1916 Sam had assembled some Chevrolet"s for Durant, and would enter the fold as GM of Canada with Sam at the helm. Ok I have used up my allotment. Very much enjoy being a member of the BCA and also this web site. Thanks for the information Henry. I was not aware of the Oakland connection. Now the challenge is to remember the history lesson. hi, i'm charles l. coker, 1953 pontiac tech advisor, pontiac oakland club international, i've owned my 1953 pontiac chieftain custom catalina since i was 17 in 1973. i've owned several buicks in the past and present. 1958 roadmaster 4 door hardtop, 1963 skylark 4 door sedan, 1965 riviera - my favorite buick, 1967 electra 225 convertible, 1969 electra 225 4 door hardtop, 1971 electra limited 4 door hardtop, 1972 electra 225 4 door hardtop, and my current buick, 2000 park avenue ultra, love that supercharger. 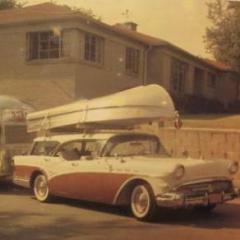 Hi, Ted Nagel here...Buick fan since 1977 when my dad bought a 68 Skylark convertible for me to fix up. Now I have a collection of 65 Wildcats and several A-body GS cars. Hi, my name is Les Newcomer and while I"m new to the forum I'm not to Buicks. 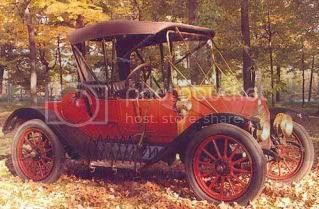 For the first 18 years of my life the 1912 Model 36 Roadster I use as an Avitar was our vacation car. Dad bought it off the farm in '46 was on several Glidden Tours in the 50s and 60s. It went on the first 4 'cross-country' tours in 1968 (NYC to San Fran), 1972 (Montreal to Tijuana), and 1976 (Seattle to Philly). Most of the time I was either navigating, polishing the brass or telling locals where we got our tires and what we did when it rained. And speaking of rain, am a veteran of the Hershey meets/floods of the 1970s. In '72 Dad bought a Model 35 touring, but never had the time to get it running. I now own both cars as well as a partial drive train for a third. The goal this winter will be getting the touring running for sale in the spring, then on to the roadster which needs the overdrive rebuilt. I'll probably be checking in here when I've got the touring put together and (as my dad said) "Cranked that thing until it boiled" and it still wouldn't start. Welcome to the forum hope you stay around for a while. You'll find a lot of good stuff on this site. Hi, I'm Dave aka Redrob from Minnesota, and I'm a Buick fan since I was a kid and a 'new' 1972 Buick Centurion owner. Ah, I finally belong here instead of just being a lookie-loo and a lurker, and it feels great! I'm planning on entering the Spring Spectacular show on May 1, the regionals in Wisconsin in August, and whatever else strikes my fancy next year. Welcome to the forum Dave you will find a lot of information on the site. I'm Larry and I have a 1952 ford pickup and a 1948 Plymouth special deluxe coupe. Both are real nice and I like working on them. My son also has a 52 ford pickup that we are now restoring. Anyhow welcome. Do you have pictures of your model 35? Only snaps of it sitting/hidden in the garage. I have to pull it out to get another car ('66 Mustang) out soon I could (weather depending) take pics then. Is there anything specific you were looking for? OK Mike, you hooked me. So here goes...Howdy Y'all..Greetings from the frozen (not quite yet) north. I'm Jim Pickard, or more commonly known on the site as 57buickjim. I live in my garage or my basement workshop most of the time, when I am not going to kid events, or my REAL job. I just joined BCA last year when I decided that my beloved 57 Buick Special Model 48 (fondly referred to in my household as Old Bessie) needed a much welcomed re-restoration after 20 years. I just also joined the Southeast Michigan Chapter of BCA as well. I am a certifed old car nut, brought up working on cars since I was a kid..I have restored, driven or owned a..1957 Chevy Bel Air 2dr HT (first car in HS), 1946 Willy's CJ2A, 1967 Cadillac Convertible, 1969 Plymouth GTX, helped my dad on his 1931 Pontiac, to name a few. I currently own a 2005 Mustang Convertible and 1969 Plymouth Road Runner 440 / 4spd. I like cars. I am probably a younger member in the BCA, along with Mike, probably bringing down the average age a year or two. My passion is working on the Special and bantering back and forth with all you crazies on the forum..
Well, that's it in a nutshell..I have a great time reading and posting. Looking forward to more...BTW Spam Pie sounds pretty good withh a Michigan Brewing Co. Pale Ale...yummm. Oh yeah, here is a picture of Old Bessie.. :DWow...I didn't think that I would scare so many people by posting a response..
A formal welcome Jim. I don't know why it took me a week to see this. Hi, my name is Guy Moore, I really enjoy this site. I don't have Buick at this time but my parents drove Buicks, in the 1960's, we had a 1960 Buick Invicta custom 4dr hardtop, (our first air conditioned car) a 1964 Buick Wildcat custom 4dr hardtop, (beautiful, all black, wire wheel covers cornering lights,), and last a 1967 Electra 225. I really like Buicks especially the ones from 1957 - 1968. Electra 225 and Wildcat, Invicta, etc. We attended the nationals in Colorado Springs in 2009 and really enjoyed seeing all of the cars. I hope to have another Buick someday, right now I have a 1976 Olds 98, 1989 Cadillac de Ville, 1994 de Ville Concours, 2009 DTS, and a 1982 Ford pickup. I have fostered an on going interest in Buick's since I was a kid. My father usually drove Chevy's so I migrated to Chevrolet for my first four cars, never really had a good reliable Chevy until I stuck a 270 GMC into a '38 2dr in 1951.. That thing would out run anything in Eastern Idaho until a kid in Pocatello put an Olds Rocket in his '36 Ford. In 1951 several of us guys from Eastern Idaho took a '40 Buick Century coupe to Bonneville Speed Week... The guys from So Cal laughed at us, six carbs on a 320 straight 8 engine and "World Famous Potatoes" on the license plates. We became the spud busters. They sang a different tune when the car set a record.... We were untouchable when Hot Rod Magazine did a feature article about the car in the Nov, 51 issue. I decided to upgrade the power train with components from a '65/66 Rivera. We could not find a good 425 so we bored a 401 out to 413. The trans is a ST400, 65 Riv rear end, 51 Roadmaster front brakes, 55-56 Buick upper control arms and '51-52, 605 GM steering gear box, tilt column and Roadmaster wheels. The consul from the '65 Riv fit in the car like it was made for the car. Time can fly faster than a well-tuned Buick down the West Texas Interstates! Or Kansas or other places the horizon is limitless . . .
Hello guys, my name is Prasad..... I am in the process of acquiring a 1937 Buick Special. She is in very rough shape(rust) but 90% of it is still there. It has the original straight 8 in it however, the block is cracked and she has been sitting since 1967. My goal is to bring this beauty back alive with a modern twist. I am heavy into Buick Grand Nationals and I would like to stuff a 600 to 800Hp turbo charged V6 set up in it. I have all the parts I need for that aspect. Now that being said I have no clue about the 1937 Buick. I would like to set the car up on a G body frame ( if that is even possible) so it would be much easier to get all the suspension parts and what not. I hope to learn a lot from you guys and use all the help I can get.